We open with Koya and Shinichi going somewhere on a pitch black night. Koya keeps singing the same phrase over and over again about saying goodbye and this grates on Shinichi’s nerves until he explodes telling the tutor to stop being a broken record by parodying a famous song. He then demands to know where they are going. Why? Is he scared? Shinichi replies that he just doesn’t want to get killed. So you get into a man’s car who has confessed openly that he’s killed someone before? The intelligence of the matter. That response makes Koya smile. Good. He then reminds Shinichi about his nature as a killer. Shinichi responds by saying he doesn’t really know as he isn’t even certain of Koya’s real name. We then cut to the scene from the ending of the previous episode where Shinichi shows off a picture of the real Koya and asks who the tutor really is. 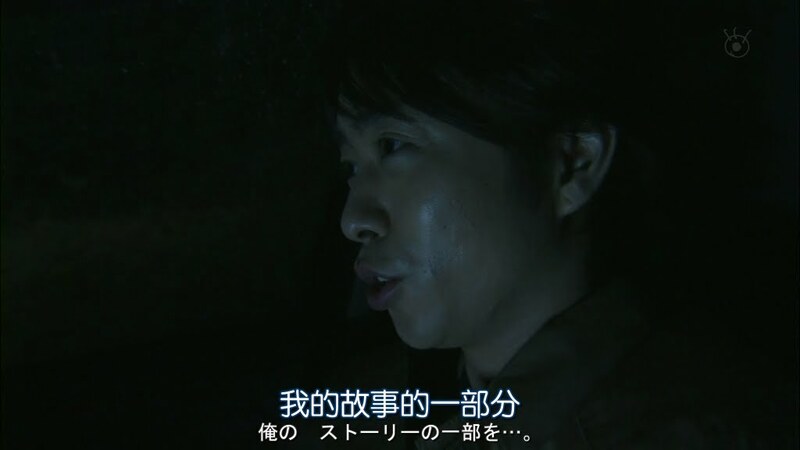 We then cut back to the car where Koya replies that a name doesn’t matter, but it does to Shinichi. Since he really isn’t Yoshimoto Koya, the boy has no confidence in this tutor. Koya replies that Shinichi is not the type to trust or have confidence in any tutor even if the names matched. He then reminds the teenager that no matter what his name is, Koya did save Shigeyuki from being bullied (after he exacerbated the problem from a while). Shinichi calls this an afterthought. Besides, Koya’s way of saving Shige was wrong. So…Shinichi’s way of saving his brother would have been right? People who do nothing but speak about an ideal—don’t you think they’re cowards? Koya asks if Shinichi really does fear him. Instead of waiting for an answer he tells Shinichi that people feel anything they don’t understand is weird, so Koya is taking Shinichi to a place to better understand him so that Shinichi can feel at ease. He then darkly says it is a part of his story. This causes Shinichi to shoot him a glance and Koya smiles once more and starts singing again. The two arrive at a hospital. 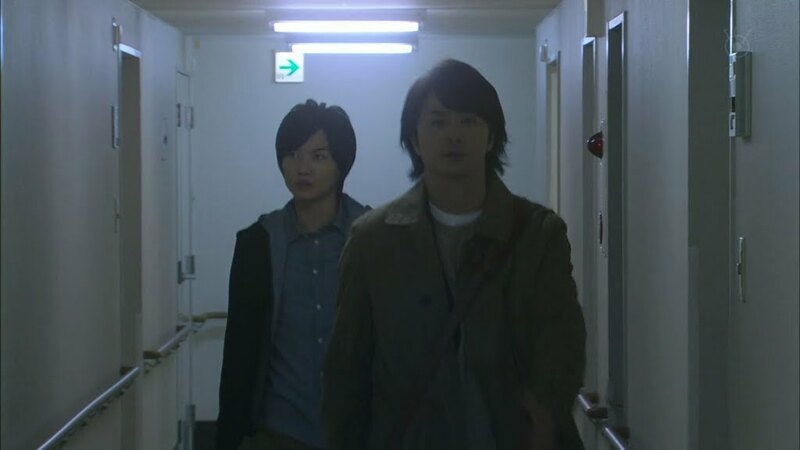 Koya silently marches to a room and the name on the outer door shocks Shinichi. Why? Wait for it. When they enter, there is a young man—the real Yoshimoto Koya! It turns out that this Koya is the real one’s older brother. They were complete opposites. The Real Koya was good at school while the fake one wasn’t—the opposite of the Numata family. Koya’s dream was to be a teacher and thus he entered Toudai and became a junior high school teacher. Immediately afterward he had an accident and was deprived of his dream. This vexed his older brother and thus he became a tutor to help fulfill his baby brother’s dream. If that’s the case, then why didn’t he become a teacher. Simple—he doesn’t have a teaching license. LOL. That’s a good reason. Koya then straightens up. There. Now Shinichi knows part of his story and it’s up to him whether or not he decides to tell his parents because at this point Koya doesn’t care any more. Shinichi then asks for Koya’s real name. It’s Yoshimoto Yuudai. Doesn’t fit him. Koya then says that no matter what he will keep introducing himself by his little brother’s name. The next morning Shinichi relates the news to Shige and says he won’t tell their parents for now. Enter Kazu who talks about how happy he is Shige is now properly going to school. He then switches the topic to AKB and wondering who will be the next center. Shakes head. This earns him an unhappy look from Kayoko and he then says she resembles the AKB member who is a natural airhead. Ouch. What a loving husband. Flashback to Kazu and he’s really describing Asami. We get to see them go to a hotel only to have her beg off as she has to go home since her mother is sick. This girl is definitely playing at something. The flashback ends and his happy wife gets her bubble burst when he replies that she’s really nothing like that girl group member at all. Kazu then asks her for a new shirt since he got ketchup on that one. Kayoko goes up to their room where there is a shirt with a lipstick stain on it. Enter her husband. She quickly puts that shirt away and takes out a new one. He’s been staying late at work a lot lately. Kazu replies that it cant’ be helped and tells her he will be late yet again that night. Kayoko leaves and stands out side the door flicking her thumbnail against her teeth. When will she crack? Shige goes back to school and recalls Koya’s promise to ruin the others’ lives if the bullying continues. The boy is not certain if that will really end things. He takes a deep breath and goes into the classroom where his classmates smile and greet him…except for the boys who bullied him. As he goes to sit down, a girl hands over all of the notes from when he was missing. This touches him and brings a big smile to his face. Shige studies the notes at home and works on homework with a giant smile on his face. Koya, like always, snaps pictures of him. You can tell the tutor is happy by Shige’s expression, but he laughs and calls it “unpleasant.” Did something good happen at school? Something like that. Big grin widens. Koya laughs again and takes another picture. He then asks after Shige’s birthday. It’s coming soon, right? This kills his happiness. He tells Koya it is in five days. Koya then says they should have a birthday party. Shige isn’t very happy by this idea and says no. Koya pokes him and then turns serious. As his dog, Shige doesn’t have a right to refuse him. The boy swallows hard and nods. How many people should they invite? How many people are in Shige’s class? The young boy replies 26. Then they should invite 20 (excluding the 6 bullies I take it). 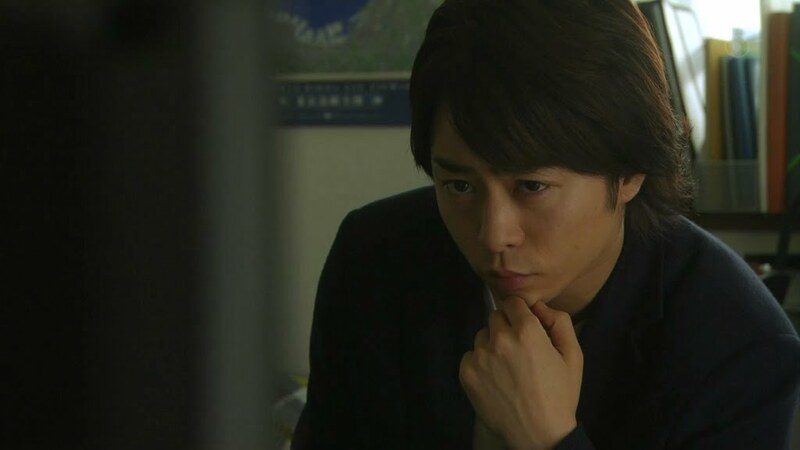 Koya leaves and Shinichi comes out saying that the more he thinks about it, there isn’t enough evidence to support Koya’s claim that he is Yoshimoto Yuudai, Yoshimoto Koya’s older brother. Thus, it lack credibility. 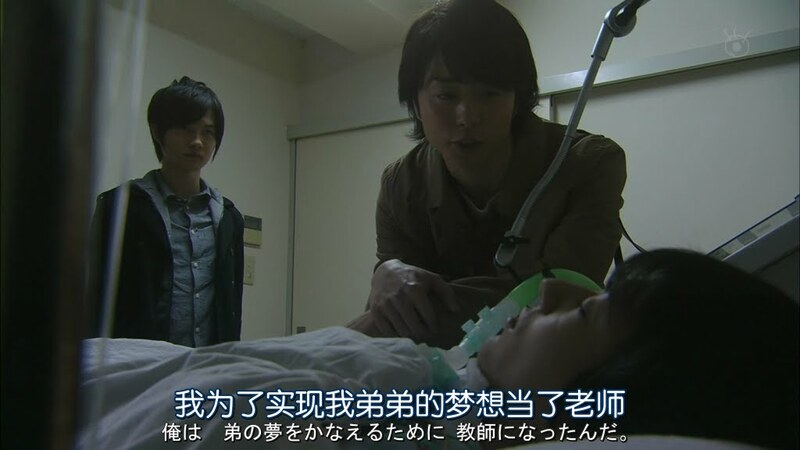 Shinichi then warns Koya he will be investigating the truth about the tutor’s identity, the accident, and the murder. This is said with his superior grin which fades as Koya slaps a paper on his chest and warns the teen that it’s better if he doesn’t pry any more. Shinichi opens the envelope Koya handed him and its full of pictures of Shinichi stealing. They should really get along…right? 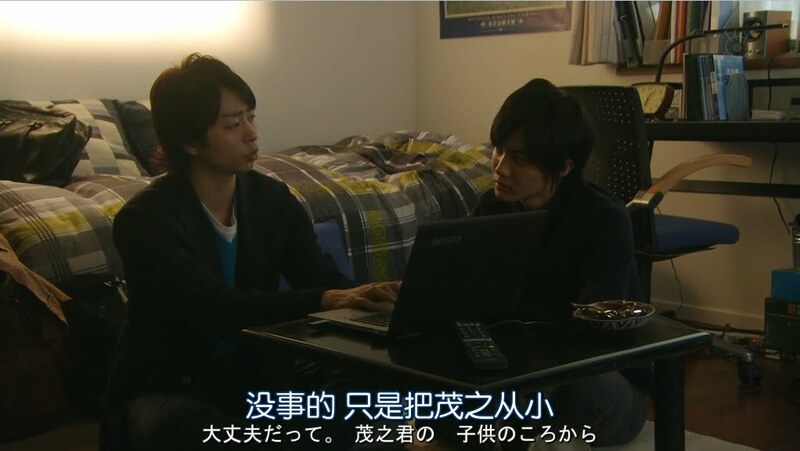 The next day Koya comes into Shinichi’s room and find him on his website. Koya laughs and tells the boy he won’t find anything there. He then asks for a small favor. We then cut to Koya in the sauna with Kazu telling him about having a birthday party with 20 people for Shige. This shocks Kazu and he doesn’t seem pleased with the high number of guests. We then cut to Koya telling Kayoko and her friends that they will have the party at the Numata house and asks the girls to prepare a hula performance since they had all taken a class. This shocks Kayoko—how does he know that? Back to Koya and Kazu in the sauna. Koya asks Kazu to sing since his wife supposedly told him about entering a folk competition in college. Snort. Koya and his research… very thorough. And what is Shinichi’s task? Getting pictures of his little brother from infancy to now. They will make a slideshow to show Shige’s life from then to now. Back in the sauna, Koya tells Kazu it’s Shige’s request to see his father play. Really? Koya then says that if Kazu does it, all the women will fall for him. This quickly gets Kazu to agree and Kayoko has no choice since her friends all agree as well. Shinichi…well…doesn’t really agree, but instead demands to know how Koya got all those pictures of his little brother. From none other than Kayoko of course. Looks like Shinichi doesn’t believe that. 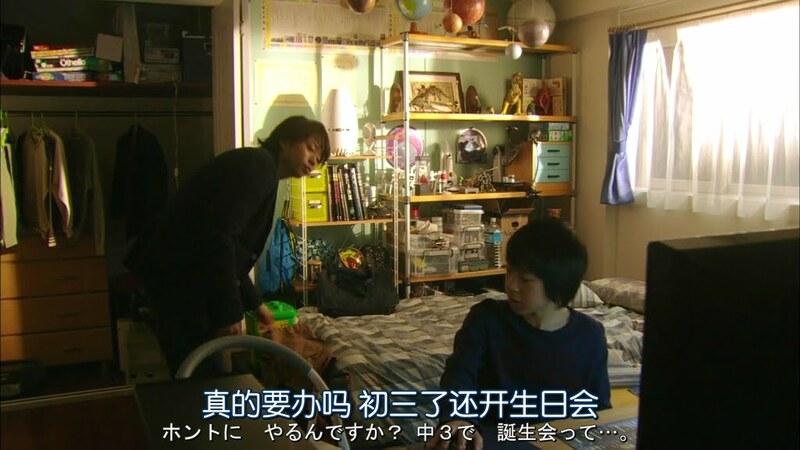 Koya goes into Shige’s room where the boy is preparing the invitations. He’s embarrassed as having a birthday party as a third year middle school student seems wrong. Plus…the performances his parents will be doing are even more embarrassing. Koya tells the boy that the Numata parents wish to become his support. This means he’s loved. Well…I think Kayoko really does love her children, but I’m not so sure about her husband. Koya says he envies the young boy. Shige tries to play it off like it doesn’t matter, but he smiles happily. The next day at school Shige puts the invitations in desks and waits nervously. There is a rather good response and the girl who gave him the notes asks him what the surprise mentioned on the invitation is. Shige smiles. They will have to wait to find out. Koya then starts stalking the family again. All of them are preparing for their assigned tasks and Koya takes pictures as evidence. We then see Kayoko cleaning Shinichi’s room and coming across all the books he has stolen which are piled under his bed. Shinichi comes in and immediately berates his mother for entering and cleaning without permission. That’s just wrong. Anywho, the then holds up the slideshow printout and asks his mother if she really took those pictures. Kayoko looks at one in particular and cannot recall that place or picture at all. Enter Koya who takes a photo and tells the two that they left their front door open. Koya leaves and Kayoko muses that she is certain she secured the door. 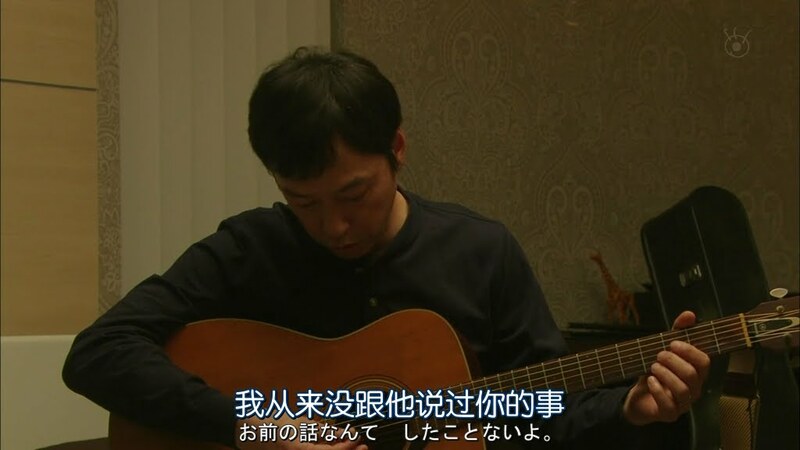 That night Kazu practices the guitar and the song he will sing and asks his wife why she told Koya about him playing the guitar. Kayoko asserts she didn’t. She then asks if Kazu told Koya about her hula class. Definitely not! They should be realy suspicious by now. Kazu then gets a text from Asami saying she’s at his house. the bell rings and Kazu rushes down. Asami delivers his entrance badge. Enter Kayoko and she introduces herself as a member of the company. She goes to leave, but enter Koya who cannot think of letting a guest go already. That’s right. Why doesn’t she stay for dinner? LOL. Koya acts like it’s his house and Kayoko goes right along with him. This, of course, makes cheating hubby unhappy. They sit down to dinner and Asami praises Kayoko’s cooking as on par with a restaurant’s. This makes Kayoko happy until Koya immediately says that is a big exaggeration. LOL. So…does Asami have a boyfriend? No. A lover? Something like that. Kazu then quickly changes the topic—where is the eldest boy? At cram school of course. Asami then brings up hearing a guitar as she came. Koya says it was Kazu who is practicing for Shige’s big birthday bash. Koya then invites Asami and this makes both Kazu and Kayoko unhappy. Just what is he plotting this time? Shinichi and his girlfriend are at the real Koya’s hospital. They have been sitting outside his room waiting for family to show up, but nada. Is is really necessary to go this far? With the extent of Yuudai’s thoroughness…he has had to have done some deep research on the family—even going to Shinichi’s uncle. Then why doesn’t Shinichi tell his parents. He would if it would do any good. Kazu walks with Asami who asks him to go to the love hotel with her after his son’s birthday party. Tactless. Meanwhile, Kayoko crazily washes chopsticks. She’s suspicious and you know it. 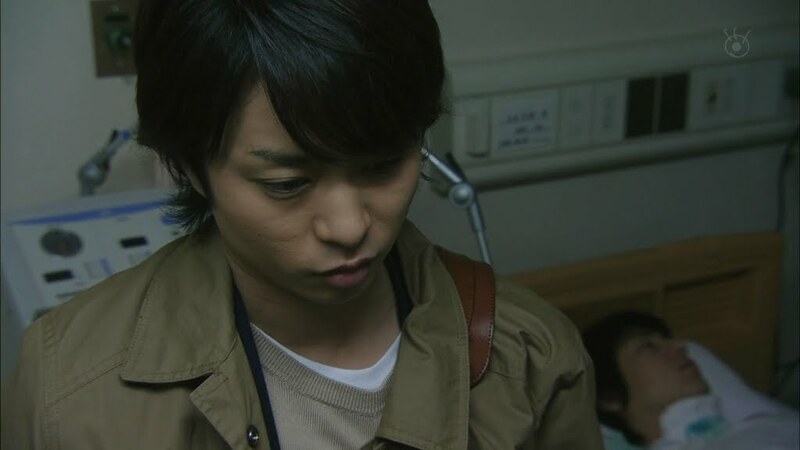 Back at the hospital, Shinichi finally sees a woman going into Yoshimoto’s room. Is she perhaps a relative? Yes. She confirms that Koya’s story is true. 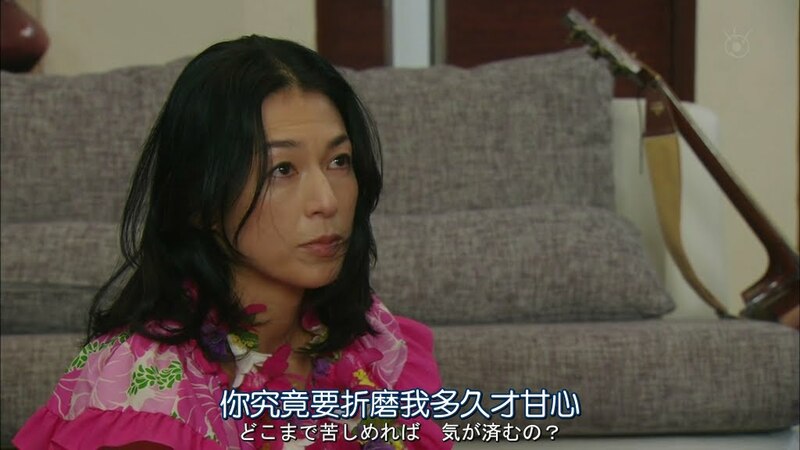 She also asserts that Yoshimoto’s accident has nothing to do with his older brother. Shinichi smiles and thanks her as well as apologizes to her for making her remember anything unpleasant. He goes to leave and the woman warns him to watch out for Koya as he is a demon. We then cut to Koya in the usual classroom talking to the woman Shinichi met with. Koya asks if she said anything unnecessary, but the woman assures him she didn’t. She then begs for her and her family to be released. Haven’t they paid enough? Koya refuses to let them off the hook. 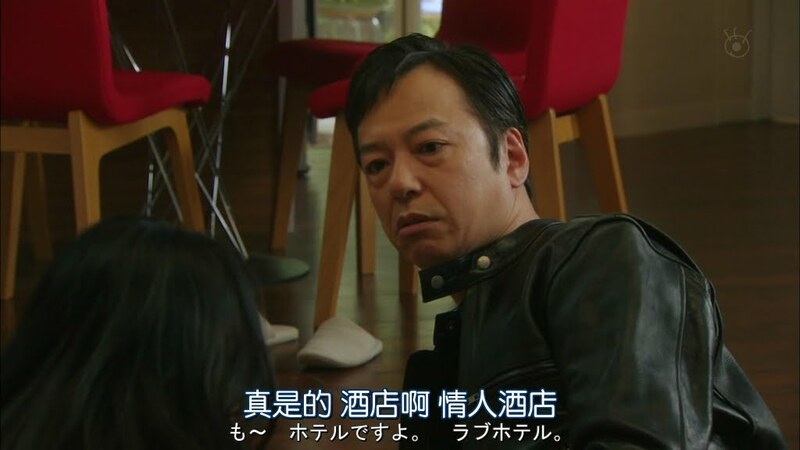 He will continue to visit her son (the real Yoshimoto) and bother her since Yoshimoto was his accomplice. Oy. I’m soooo burning with curiosity right now. Just WHO is Koya? Just WHAT happened that he’s holding over the Yoshimoto family? The day of the party arrives and the Numata family are happy and excited. Shige goes outside to await the arrival of his classmates but an hour passes and no one shows. 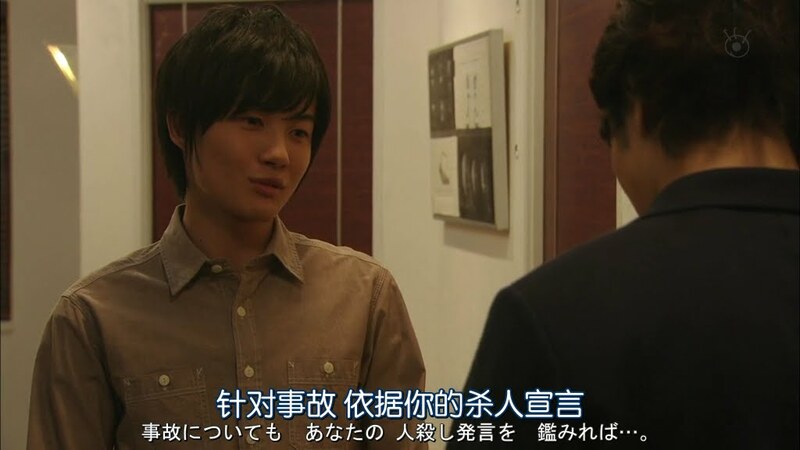 Kayoka’s friends leave talking about how pitiful Shige is, which he overhears. Meanwhile, Kayoko doesn’t like that Kazu keeps looking at his phone. He got a text from Asami saying she can’t make it and he’s disappointed. Kayoko asks to see his phone, but he refuses. Koya then jumps up and grabs Shinichi to go out and look for the missing Shige. Only they don’t look for Shige. 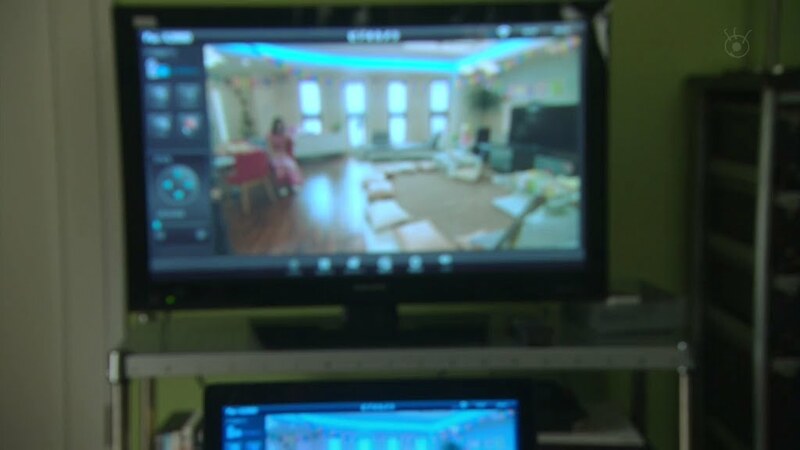 They go up to Shige’s bedroom where Koya has hooked the video camera up to the TV in the room. He then welcomes Shinichi to the VIP room. Koya holds up the invite and says that the real surprise is what is happening right now. Koya then asks if Shinichi really thought Shige’s classmates would come since they aren’t friends. Then…why the party? To proceed to the next level. Koya then texts Shige to come home. Koya then presses play and the TV in the living room comes on with the video Shinichi edited. Koya tells him to watch and soon Kazu’s conversation with Asami starts playing, too. Kazu rushes to turn off the TV, but Kayoko stops him. Shinichi asks who the other person is. Koya nonchalantly replies the “other woman.” Kayoko slaps her husband across the face as the conversation talks about love hotels and Kazu singing for Asami at the party. 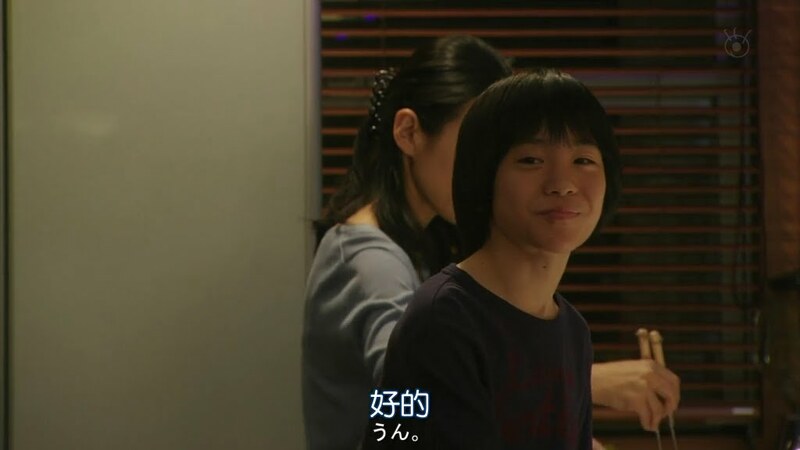 Enter Shige who walks by the room and sees his parents. He stops and watches them. Kayoko demands to know if her husband is seeing Asami, but Kazu denies this. He wants to know who recorded his conversation, but Kayoko ignores this and just say she held out a tiny ray of hope that this party would bring about the family she had always envisioned, but it was no good after all. She then turns to her husband and asks how much more pain must he inflict on her until he’s happy. This really seems to surprise Shinichi as he watches. Kayoko then crawls over the TV. Can’t Kazu see he isn’t in a single picture? Because he’s busy at work so it can’t be helped. Busy? Work? He has ALWAYS pushed the children onto his wife. Kayoko says that the word “work” is what broke her. She then looks at the pictures commenting on how adorable the children were then. No matter how bad her day was or how horrible she was feeling, one smile form them would brighten her day right up, but then they grew up and stopped listening to her. She began to feel that even love was an obligation. She doesn’t even know what her children think of now and she isn’t sure she even wants to know. I think this lacerates through the children. Koya says the problem was even worse than he thought. 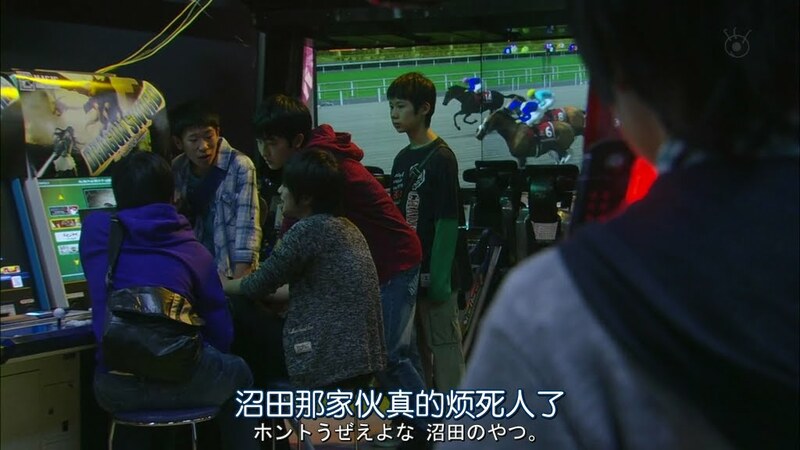 He then has the camera angle in on Shige to catch the youngest boy’s reactions and Shinichi’s eyes widen in shock. Kayoko cries and hates herself for wondering what kind of life she could have had without her husband or children around. She doesn’t want to think such things. She doesn’t want to be that kind of wife or mother. Kazu stays silent through this all. Meanwhile, Shinichi worries as he sees Shige disappear from the screen. Then Kazu finally speaks. He apologizes saying its all his fault and that the children are innocent. Kayoko shuts him up and says she knows that, but just for today…she can’t finish her sentence as she’s bawling too hard. Koya claps and Shinichi grabs his collar as the tutor nonchalantly talks about how bad Shige’s birthday must have been for the poor boy. 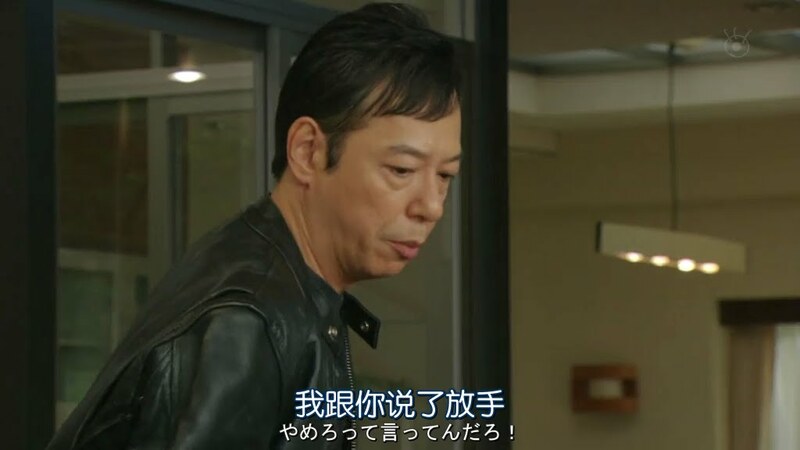 Shinichi blames Koya for breaking his family and Koya says Shinichi shouldn’t jump to conclusions. Koya only set the stage—what happened was all real—the Numata parents true feelings. 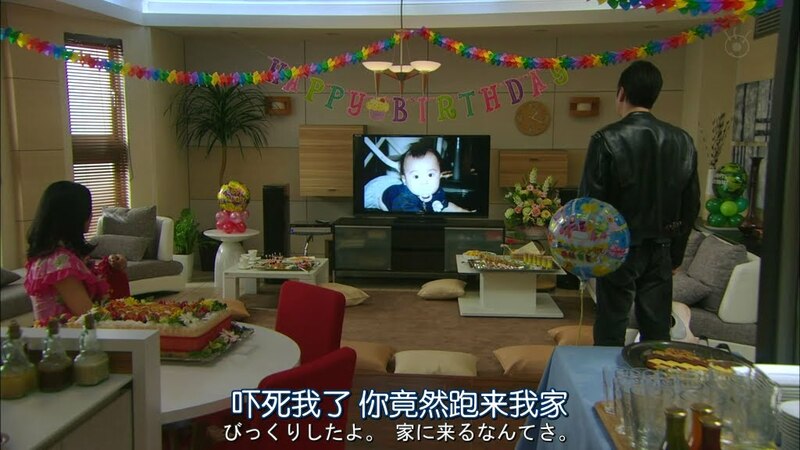 Before Shinichi can protest, Koya says that even Shinichi wasn’t there because he loved his brother and wanted to celebrate his birthday…it’s because he wanted to dig up more dirt on Koya.This accusation throws Shinichi. He asserts that isn’t true at all. Koya interrupts him. If he’s wrong…then does Shinichi know where his little brother went? Shinichi cannot think of a single place. Sucker punch to the gut brings the teen to his knees as Koya talks about how the uncle and other relatives knew a lot about Shigeyuki. Koya then walks away. Shige is out walking in the pouring rain when he bumps into a classmate who says he was going to go, but Yamato told him not to—Shige can even go to the arcade to ask him. Shige says nothing and just walks listlessly away while the other boy begs Shige not to write about this in his suicide note. O.M.G. Shige then goes to the arcade where he finds his other classmates. They say he can hurry and go die now as no one cares about him. Enter the girls who were nice and they talk about how they wouldn’t go to such a party at that age and how he’s disgusting and smells. 😦 Poor Kid. He walks lifelessly back out into the pouring rain. He screams and cries and runs away. 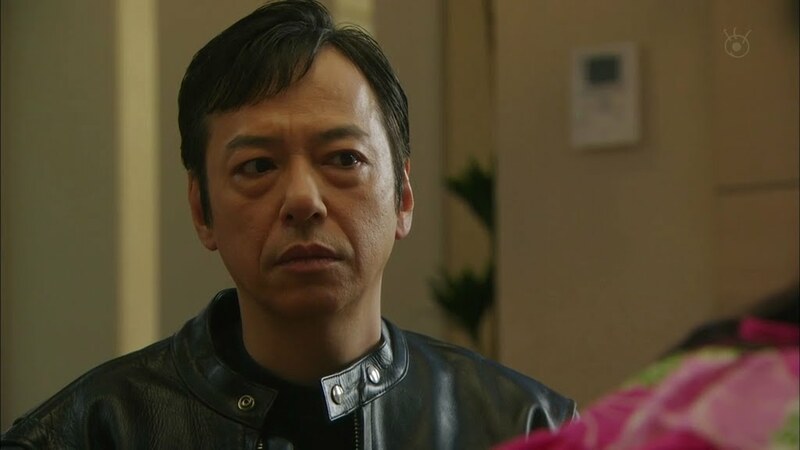 Shinichi rushes out and runs into his girlfriend, whom he ignores, because he’s busy calling his uncle to find out where Shige might have gone. His uncle tells him about Shige’s secret base behind a shrine and Shinichi takes off running. Koya is already there and Shige runs from him only to trip and fall. Koya asks if the young boy thought it was really that easy to get friends and receive love from the family he’s been pushing away. Shige cries as Koya tells him he has no friends and has been abandoned by his family—that’s the boy’s reality. Is it frustrating? If he finds it so, then he must find the courage to change. Koya tells him to stand up, but Shige lies on the ground shaking. Koya yells at him to get up one more time. This time Shige obeys. Koya tells Shige not to cry anymore and vows to wipe away the boy’s tears himself silently. When Shige goes to protest, Koya vows that if he still wants to cry tomorrow, they will cry together as didn’t Koya say he was on the boy’s side? Flashback to Shige recalling the time Koya told him that. Koya then pulls the boy into a hug and says that he is there and will prove to the boy that he can change. Koya then laughs and pulls away, patting the boy on the back. He tells him not to cry anymore and rubs his face and head, smearing mud all over. Koya looks down at his disheveled state and complains that he looked good in that outfit. This gets the distraught boy to stop crying and laugh—it’s because Koya hugged him. The two then leave arm in arm to go back to the Numata house. Shinichi’s girlfriend and he were watch from afar. She says that Koya is obviously a good man. Shinichi negates this. After all…this was Koya’s goal the entire time to expose Shigeyuki and then reach out a helping hand. He did the same thing with the bullies. In this way, Koya becomes a necessity to Shige. 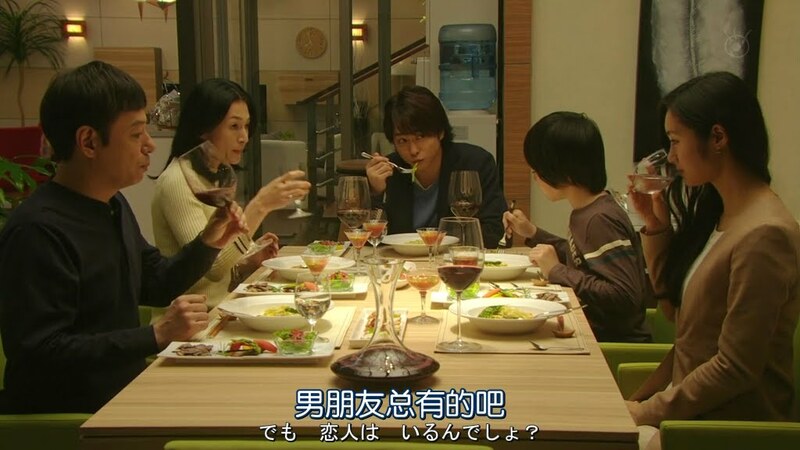 At the Numata house, the parents keep up their normal front not realizing that Shinichi already knows everything. Shige skips school worrying his classmates, but Yamato reminds them that the tutor says they can’t be held responsible for bullying if it’s a free participation event. Shige is with Koya at his fort badmouthing his classmates while Shinichi delves deeper into his research of the fake Koya. It turns out his website is all lies filled with fake testimonials and uncopyrighted model pictures. He then Googles Koya’s name with the terms “murder” and “tutor” and he gets a hit about how Yoshimoto Koya who claims to be a super tutor is really a murderer and that person will never forgive Koya for messing with his family’s lives. Shinichi clicks the link and there is a picture of the nefarious tutor. What is the backstory here? Oh, I’m curious. You know, apart from Kazu, I really do think Kayoko and Shinichi do still have feelings for their family buried deep inside. I don’t think it’s all about appearances are trying to discover Koya’s secret. Will this be a wake up call for the family that will save them? Or will Koya’s diabolicalness be the straw that broke the camel’s back?